You are kept and protected by God for He is your refuge. Choose to put your trust in God and hide yourself in Him. Be blessed to rejoice in your Lord. You have no good beside or beyond Him. You are one of the saints of God. You are excellent and glorious. You are the noble one in whom is all of God’s delight. The Lord alone is your chosen and assigned portion and your cup. He holds and maintains your future. Be blessed to rest in His security. The boundary lines have fallen for you in pleasant places. Surely you have a delightful inheritance. Be blessed to praise the Lord, who counsels you. Let your spirit receive His instruction even in the night seasons. May you always keep your eyes on the Lord. With God at your right hand, you will not be shaken or moved. Because of His greatness may your soul be glad and your spirit rejoice. May your body rest and confidently dwell in safety. Be blessed with assurance that God will not abandon you nor will He let you see decay. Be filled with the joy of God’s presence. He will make known to you the path of life. At His right hand there are pleasures forevermore. Taken from Sylvia Gunter’s new book Blessings For Life: Words Of Hope And Healing. 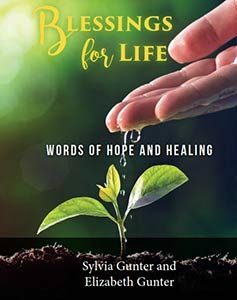 © Sylvia Gunter, 2017 Blessings For Life includes a biblical foundation of spirit, soul, and body and blessing the human spirit, 50 blessings for yourself and your family, and an appendix of verses on the human spirit and answers to the most frequently asked questions.Click here to order your copy.